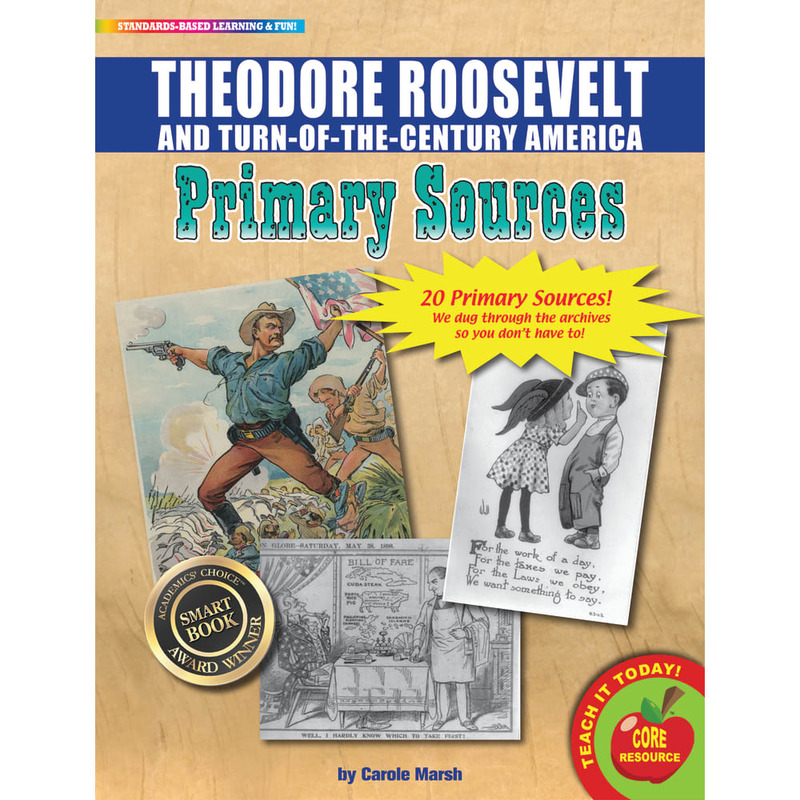 The Theodore Roosevelt and Turn-of-the-Century America Primary Sources is a pack of 20 primary sources. Each primary source pack includes historical documents, maps, photographs, political cartoons, lithographs, diagrams, letters in a mix of color and black-and-white, and sepia finishes and is printed on sturdy 8.5" X 11" cardstock. Theodore Roosevelt and Turn-of-the-Century Primary Sources are just what teachers need to help students learn how to analyze primary sources in order to meet Common Core State Standards! Students participate in active learning by creating their own interpretations of history using historical documents. Students make observations, generate questions, organize information and ideas, think analytically, write persuasively or informatively, and cite evidence to support their opinion, hypotheses, and conclusions. Students learn how to integrate and evaluate information to deepen their understanding of historical events. As a result, students experience a more relevant and meaningful learning experience. participate in active learning by creating their own interpretations instead of memorizing facts and a writer's interpretations. experience a more relevant and meaningful learning experience.